I’ve been on Instagram an entire year now, and it’s been a really fun ride. But I’ve built up a few pet peeves that I’d like to caution you against, both for my sanity and for the sake of your account’s level of awesome. Since Instagram is the fastest growing social media network, I’m trying to do my part to make sure the newbies are as dedicated as those of us already loving the platform. Welp, I’ve already downloaded the Instagram update with the Direct feature. Have you? Instagram Direct is a photo messaging component that allows you to photos and videos to up to 15 friends. These photos and videos don’t appear on in your feed, and you can delete them whenever you’d like (unlike SnapChat, which gives the viewer only 10 seconds max to view a photo, and then it’s gone forever). Essentially, this is a longer-lasting and more connected version of SnapChat. While you can only send content to up to 15 people, the Direct feature offers a very social component in that everyone you sent your photo or video to can comment on it, even if they don’t follow each other. For brands, Instagram Direct could be a great way to message their influencers about special deals and events. For personal use, it’s really nice in that I probably won’t have to bother with SnapChat any more: I can send pictures and videos to friends and they all can comment on it. I absolutely love this feature. There is potential for abuse: because you can sent photos and videos to people you don’t follow and people who don’t follow you, spam is probably in Direct’s future. The good news is that you can ignore messages from someone you follow, block people from sending you messages, and report offensive messages. I like that Instagram is thinking ahead on this. Instagram’s help guide for Direct is very comprehensive. Check it out if you still have questions about the new feature. Have you downloaded the update yet? 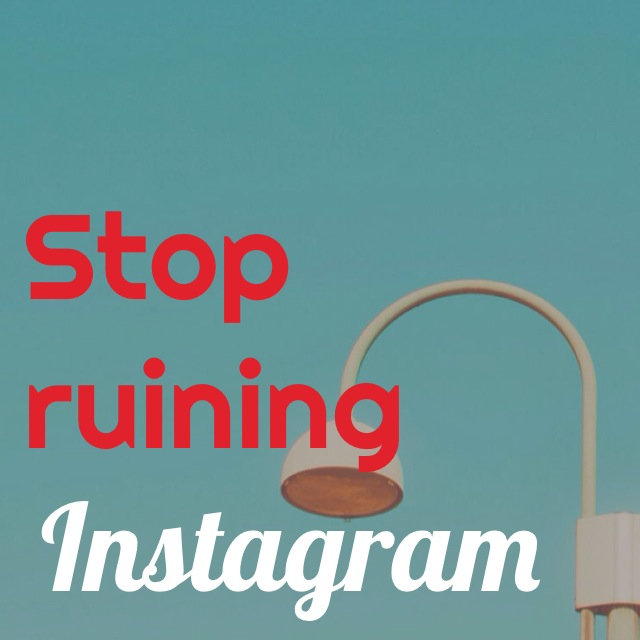 What do you think about Instagram Direct? We know the whole point of Instagram is to be instant. But things don’t always work out that way: maybe you were too “in the moment” to post that picture at the time, didn’t feel like alerting every one of your followers that you’re not at home for two weeks, or would really like your #throwbackThursday post to appear on your Photo Map. If you’d like to create custom locations (like your website or other text), check out my post on custom locations for the different types of locations and how to create them. Don’t worry—you can still get that pin on your map even if you’re not currently at your location. All it takes is a few extra steps. I’m working from an iPhone 5, but these instructions should work with an Android or any other smartphone that has a camera and two apps: Instagram and Koredoko (I’ve seen others use Pixelgarde, too). Unfortunately, if you’ve already posted your picture, you’ll have to delete the photo and start over—there’s no way to tag a location on your photo after it’s been posted. Your Location settings for Instagram must be turned off (Settings > Privacy > Location Services > Instagram > OFF). Otherwise, you’ll just add the location you’re in now, not the one associated with the picture. Instagram’s newest update means you don’t have to do this any more. Check out my post here for details. It’s also a wise idea to turn your Location settings for your camera on (Settings > Privacy > Location Services > Camera > ON). This way, your photos will automatically grab the coordinates of your location, which will come in handy later. The first app you’ll use is Koredoko, which shows you the latitude & longitude of where a photo was taken. If your picture doesn’t have geotags in it already, you’ll use Koredoko to add it. There’s a wonderful guide to using Koredoko here. When you open Koredoko, use the photo icons in the bottom left-hand corner to full up a list of the photos in your gallery. Choose the one you like. If you took the picture with the camera location on, latitude and longitude coordinates should automatically appear, and your photo will appear in the correct place on the map. If there are no coordinates, you will see “N/A.” This means you’ll have to add the coordinates in yourself. To add coordinates, you’ll need to drag and drop your photo onto the correct latitude and longitude on a map. Don’t know the coordinates? Find them here. Once you have an approximate set of coordinates, locate them on the Koredoko map and then just drag-and-drop your picture there. Unfortunately, there’s no search function in Koredoko, so you might have to do a lot of dragging and dropping until you get to your approximate location. It may be helpful to cross-reference the location in Google Maps. After you’ve positioned the photo right where you want it, touch the blue arrow in the grey box with your picture and the coordinates. This will take you to the “Detail” page, which shows you the file type, size, pixel height, camera or phone model, etc. To save your picture, touch the button with the arrow in the top right-hand corner. Choose “Save with Metadata,” and a new photo will appear in your library. This is the one you’ll use in Instagram, because it has the coordinates embedded in it. 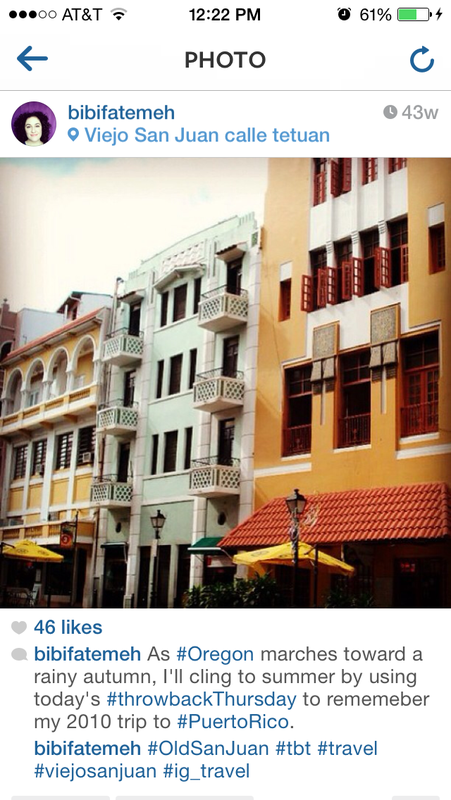 In Instagram, crop and filter the photo with the geotag metadata however you like, including caption and hashtags. 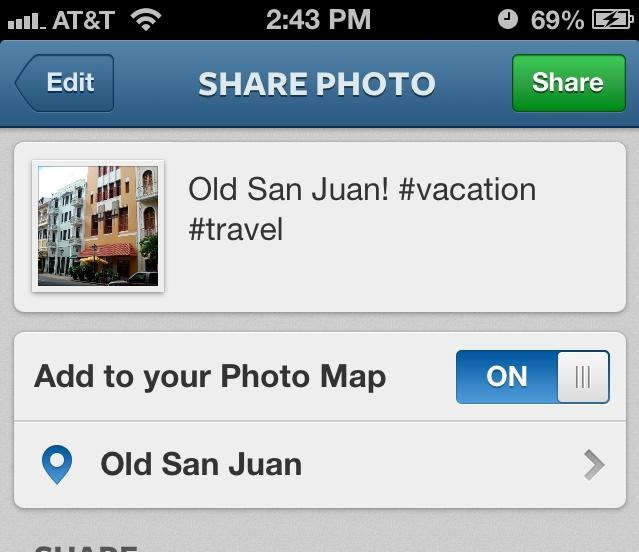 In the “Share Photo” screen, make sure the “Add to your Photo Map” is switched ON. If you just use this, your photo will show up on your map. If you’d like to include the location, go into the “Name this location” bar. 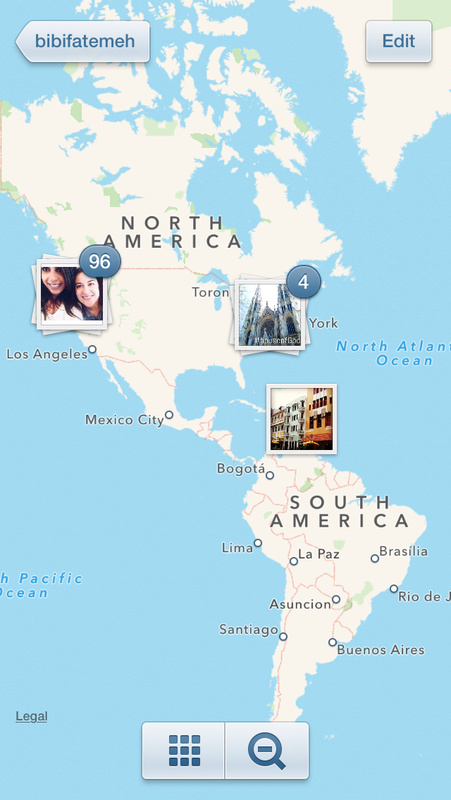 There, Instagram will use the metadata from your phone to find nearby locations. If you see the one you want, select it. Your picture will not only show up on your Photo Map, but will also be grouped in with other pictures taken from this location. If you can’t find your location, type it in the Search bar. It may pop up there. And after you hit share, you’ll see that the photo is tagged with a location and it shows up on your map, just like in the picture below. UPDATE 10/25/13: Pixelgarde’s latest iOS7 update has rendered it sort of unusable. Stick with Koredoko until Pixelgarde’s glitches get updated. UPDATE 5/5/14: A VSCO Cam update lets you disable location data when importing and exporting pictures to and from VSCO Cam. To disable or enable it, go to Settings > Privacy > Share location data when exporting. I’ve recently had trouble with Koredoko. Images will not save to my Camera gallery with location data on it. To get around that, I emailed the photo with location data to myself, and then saved the picture to the Camera gallery. 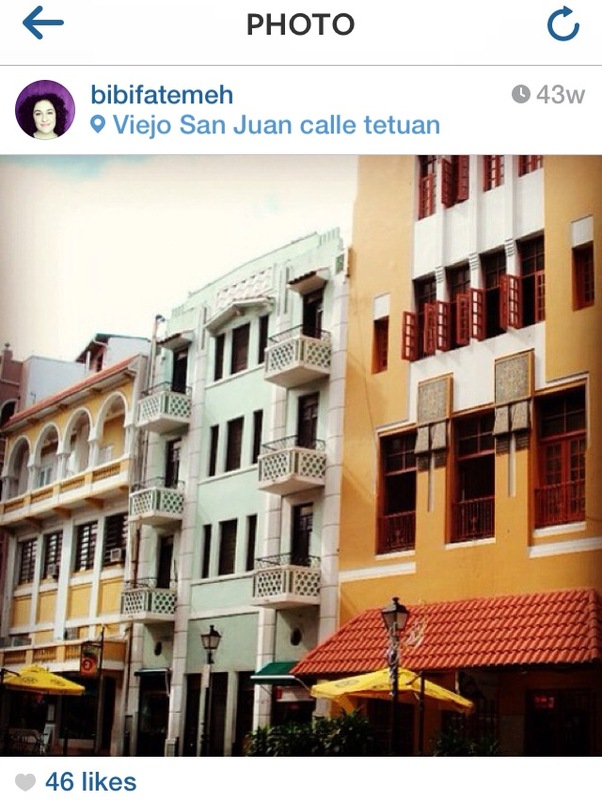 This time, the location data showed up, and I didn’t have any trouble using the Location feature in Instagram. Hope this helps anyone who’s had this problem! UPDATE 8/18/15: Instagram’s newest upgrade means this process will be slightly different. Check out this post for details. Has this worked for you? Let me know in the comments!